If you are willing to travel there are plenty of places to visit, particularly appropriate if it isn’t beach weather! The two nearest cities are Plymouth and Exeter but Torquay on the English Riviera is about 45 mins drive away and Dartmoor National Park is only 30 mins away. An historic city of international proportions Plymouth has been at the forefront of world maritime exploration for many hundreds of years. Overlooking one of the world’s great natural harbours Plymouth now welcomes visitors from around the globe. This vibrant waterfront city where a spirited maritime heritage meets a lively cultural scene can be enjoyed by people of all ages throughout the year. 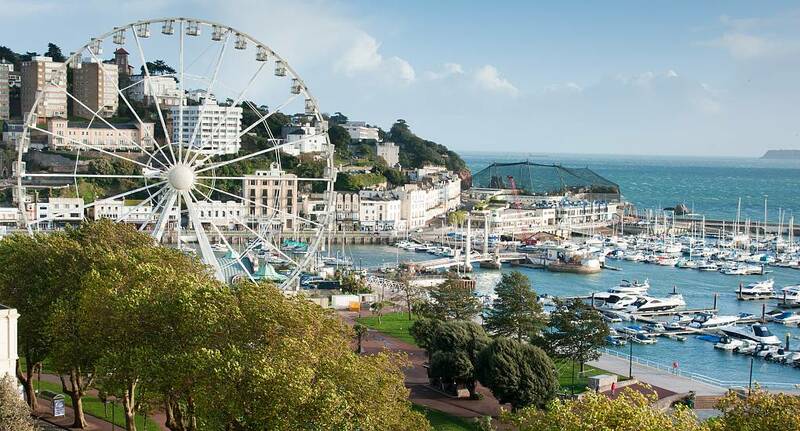 The English Riviera encompasses three main towns: Torquay, Brixham and Paignton. The area is very popular with tourists and as such there are many attractions that are worth visiting. See the English Riviera website for more details but a few of the best attractions are listed below. Exeter has retained its position as the administrative capital of the region, with its University being a valuable asset to the ongoing prosperity of the city. Exeter is close to the sea, the river, the Moors and a fun and safe place to live. The granite upland dates from the Carboniferous period of geological history. The moorland is capped with many exposed granite hilltops (known as tors), providing habitats for Dartmoor wildlife. It is a spectacular part of England and has many fantastic walks, cycle rides and other attractions. For more information on all that Dartmoor has to offer see the following link.